Congratulations to Ms. Susan Phan on a successful Master's Thesis defense! Congratulations to Ms. Susan Phan on the acceptance of her first paper in JACS, and the first paper for the group! We would like to thank Merck Sharpe & Dohme, Corp. for their kind donation of a Thermo Scientific TSQ Vantage Triple Quadrupole Mass Spectrometer to our research lab. We are very excited to add this equipment to the tools we utilize for mechanistic analysis! 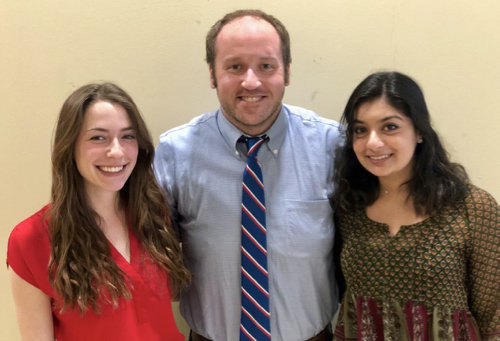 This summer, we welcome rising sophomores Shahreen Chowdhury and Esther Kaydanovsky to the group. 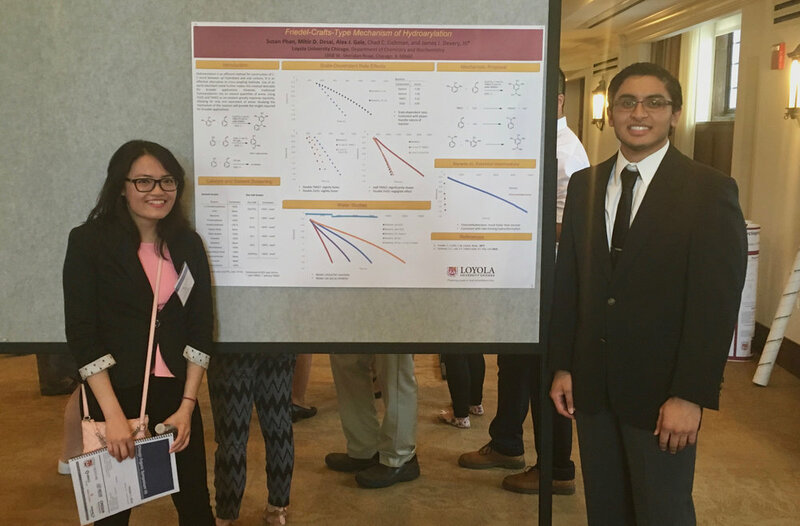 Shahreen and Esther joined through Loyola's First Year Research Experience (FYRE) program. We would, also, like to welcome Janiel Cortes, who is a rising senior at Barrington High School. Janiel joined the group through Project SEED. 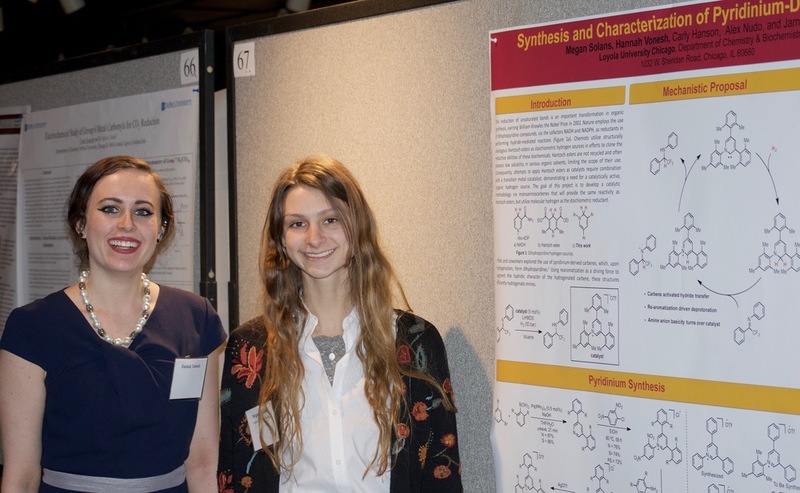 Conor, Hannah, Megan, and Shannon all did a great job at their poster session at the Museum of Science and Industry! They received a lot of positive feedback. 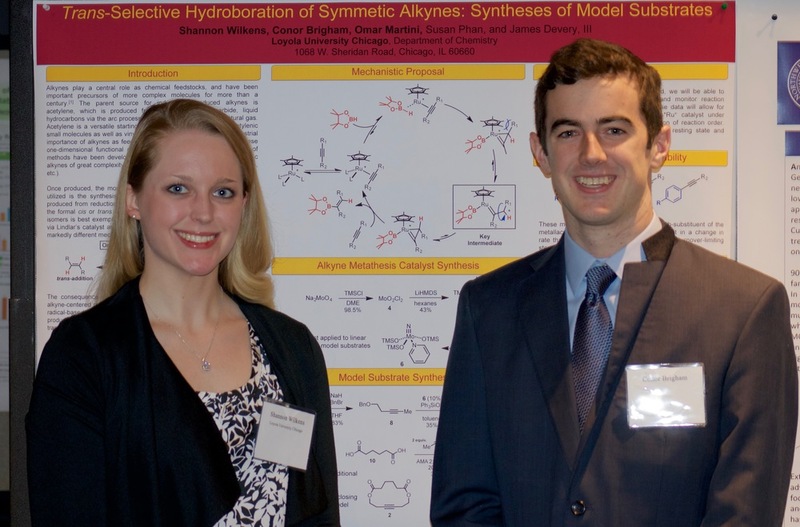 Research in our lab focuses on the determination of the mechanisms of important organic and organometallic reactions. Of particular interest are systems utilizing transition-metal-centered complexes or organic molecules as catalysts. Through the kinetic and thermodynamic characterization of these processes, we not only gain insight into their catalytic cycles, but determine the controlling factors that direct reactivity. The primary aim of this research is to determine the mechanistic framework necessary to both expand established reactivity and develop new, more efficient catalytic methods for organic synthesis. 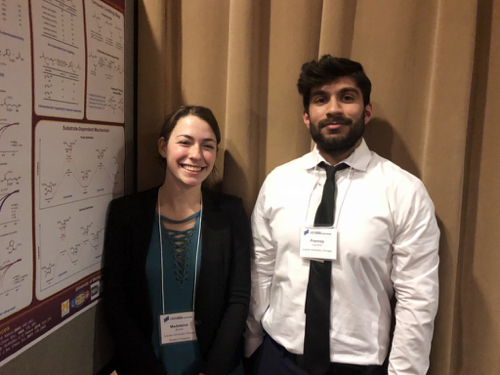 Students in the group will utilize organic, organometallic, analytical, and physical chemistry to observe reaction mechanisms. This research will provide training in not only organic and organometallic synthesis, but separation and characterization of complex systems using chromatography and spectroscopy.